The ACSD will be offering “Choosing the Best”, an abstinence-only, sexual risk avoidance curriculum in one of your teen’s classes. 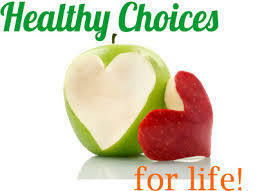 The curriculum is evidence based and medically accurate, teaching that abstinence is the healthiest choice for teens. Some of the topics covered in the program include: Making good decisions; Developing healthy relationships; peer pressure; Pregnancy prevention; and information about STD’s. The goal of the program is to help students learn the facts and to make good decisions, now and later in life. Permission forms have been sent home, but we need your help to get them back in. Please encourage your teen to participate in this educational program. Students can earn prizes for participation. If you have questions, please feel free to contact your local school for more information.